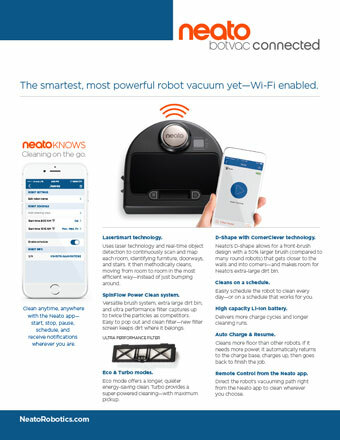 Newark, CA—March 14, 2014—Spring cleaning just got a lot easier with the announcement today by Neato Robotics of the new Neato Botvac™ Robot Vacuum, a robot so intelligent that it can navigate and clean all the floors in a home without the owner having to lift a finger or even be at home. 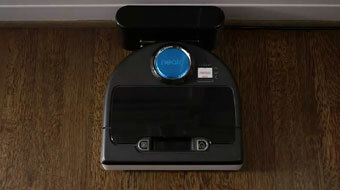 The stylish new family of high-performance home robots uses advanced robotic technology and thoughtful design to vacuum homes thoroughly and methodically, making them the most intelligent and powerful home robots available anywhere. 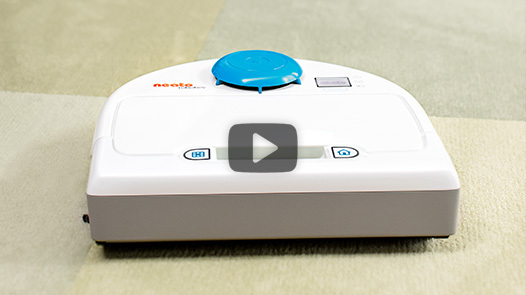 Housed in brilliant white cases with a beautiful palette of on-trend accent colors, the new BotVac family offers even greater vacuuming efficiency and capacity for picking up more dust and allergens that lurk in homes. 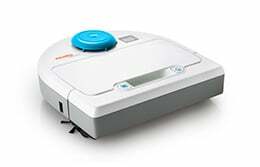 The Botvac’s brush is 50% larger than those found on other robots, making it the largest brush available on any robot vacuum. 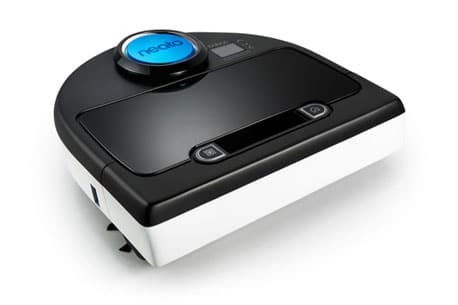 Designed to hug walls for maximum cleaning power, it cleans within 10 millimeters of the wall and even includes a side brush to pick up every speck of dust. Its larger dirt bin holds more captured dirt, dander, pet hair and allergens and is easy to empty. 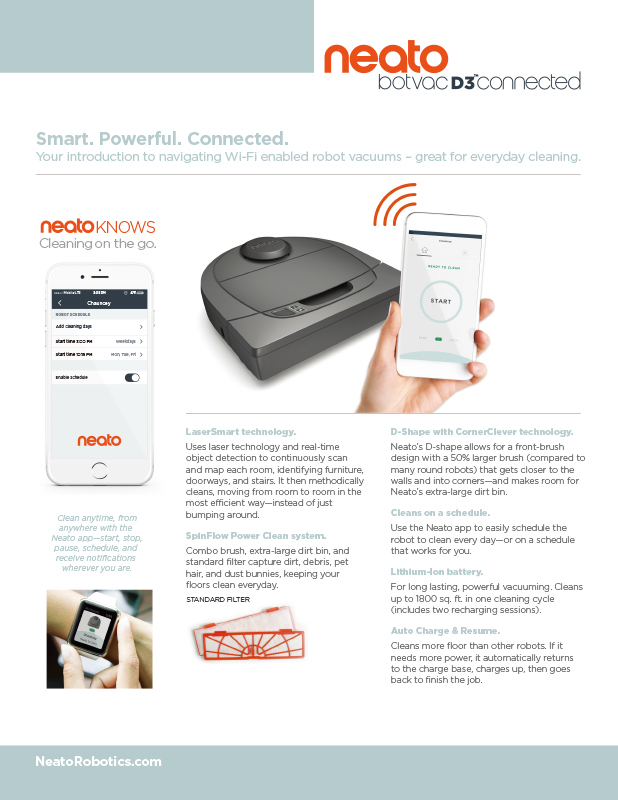 Smart mapping: Neato’s patented laser mapping technology scans and plans the most efficient vacuuming course. 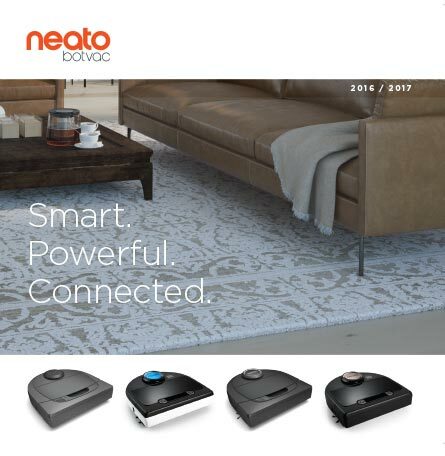 Neato then cleans in an organized back and forth pattern, leaving the straight vacuum lines in carpet that consumers love. 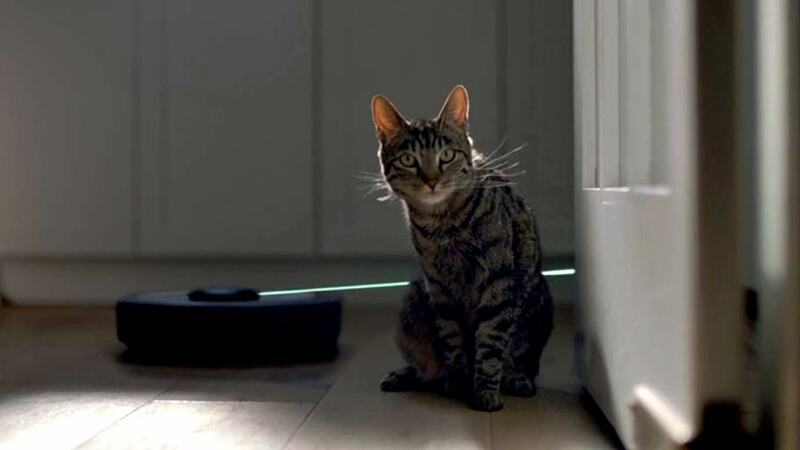 It knows when to return to its base to recharge, and then returns to the spot it left off to finish the job. 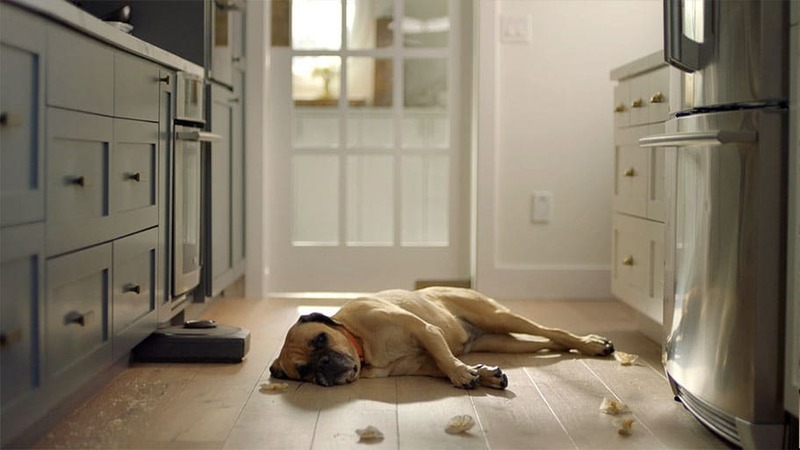 No other robot vacuum has this intelligence. 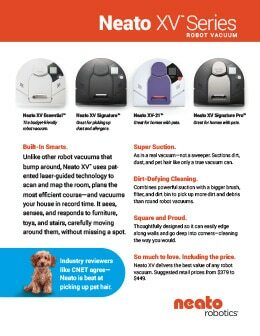 Best for pet hair: Neato has been cited by top industry reviewers, including CNET, as the best robot vacuum for picking up pet hair. 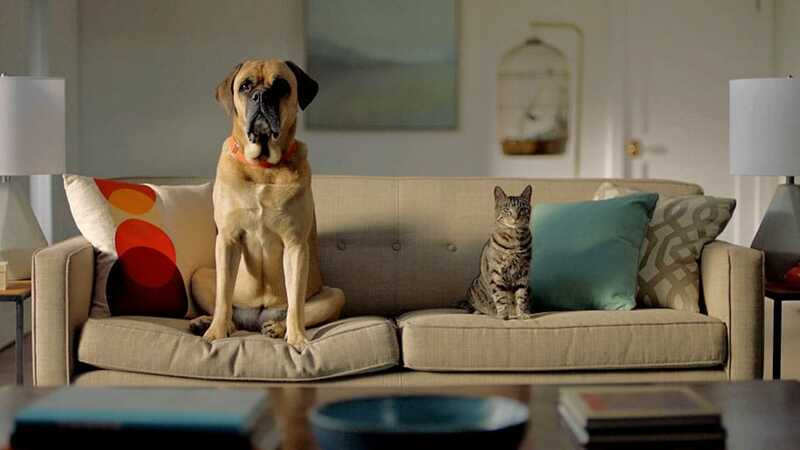 Users can schedule automatic daily cleanings, a feature of particular value to pet owners who want to keep their homes free of dander. 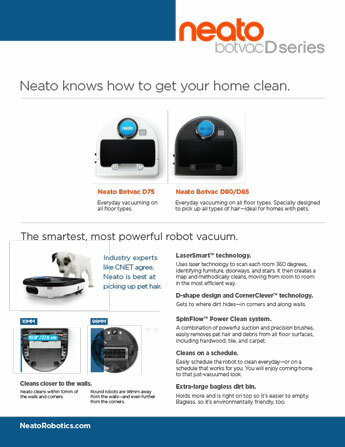 A real vacuum: Neato robots are built from the ground up to be true vacuums, not sweepers, with the powerful suction users want from their vacuum. 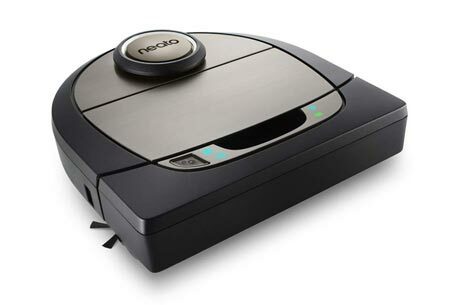 Best pricing: Neato robot vacuums are available in a range of prices, offering the best price/value in the industry. 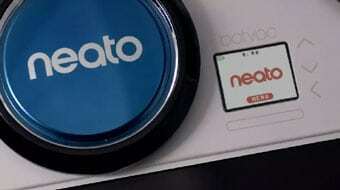 The foundation of Neato’s robotic technology is its patented Neato Botvision™, a breakthrough in robotic mapping and navigation. 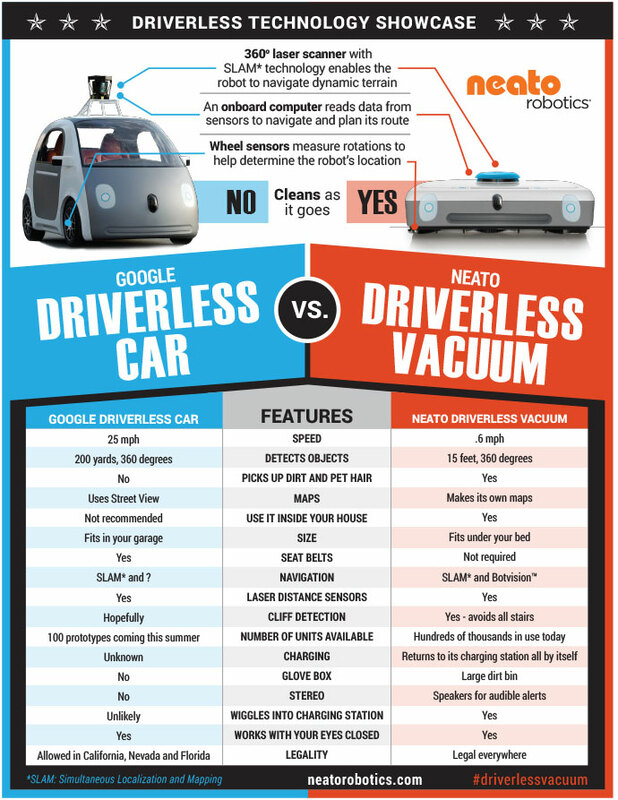 Botvision uses proprietary navigation software that is based on SLAM (Simultaneous Localization and Mapping) – the same technology used by the Google self-driving car. 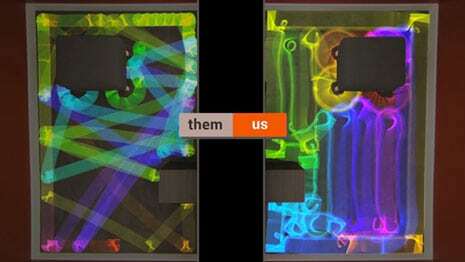 It also utilizes its own proprietary laser scanner. 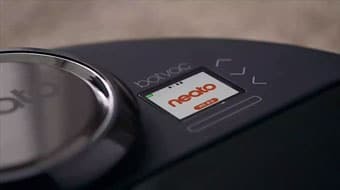 This is a milestone achievement – laser scanners alone typically cost thousands of dollars, but Neato has brought this technology to a consumer product at an affordable price. 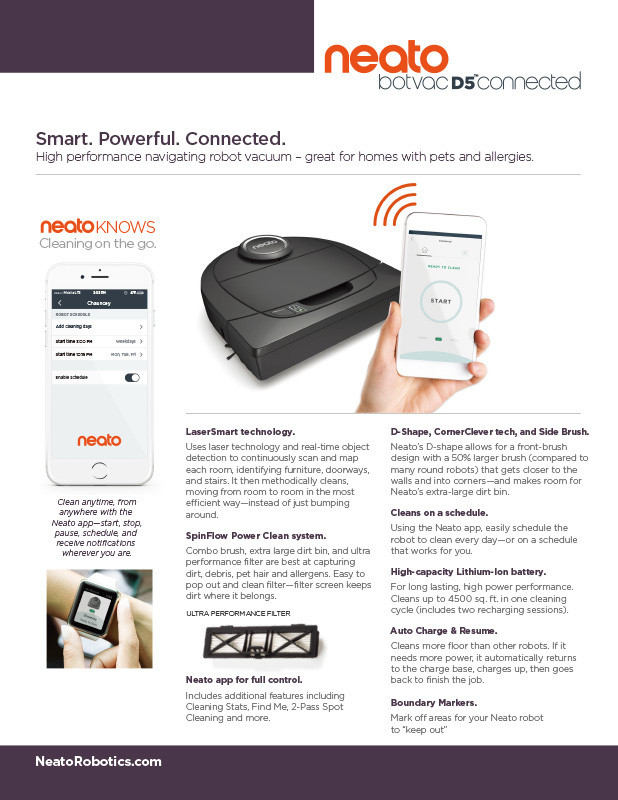 Neato’s proprietary laser distance system continually scans a room, making instant decisions based on input from its external sensors. 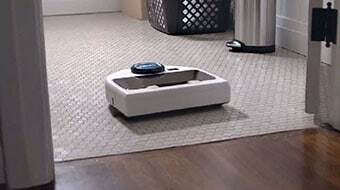 This enables Neato robots to create detailed and accurate maps of their environment and then methodically vacuum in straight lines, instead of bumping around a room randomly. 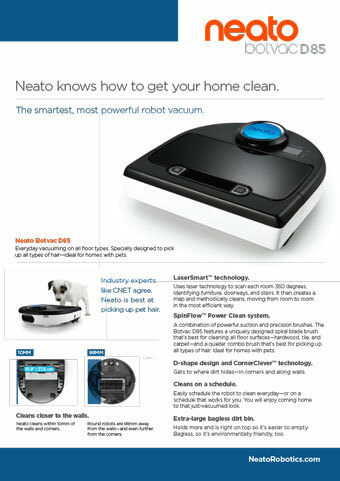 As a result, Neato cleans a room much more quickly than other robot vacuums. 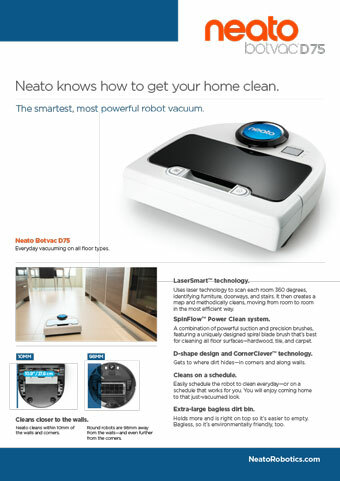 In addition, the orderly and directional navigation made possible by Botvision meant Neato could design a D-shaped robot with three straight sides and a large brush positioned across the full width of the robot, not just in a small space in the center of a circle. 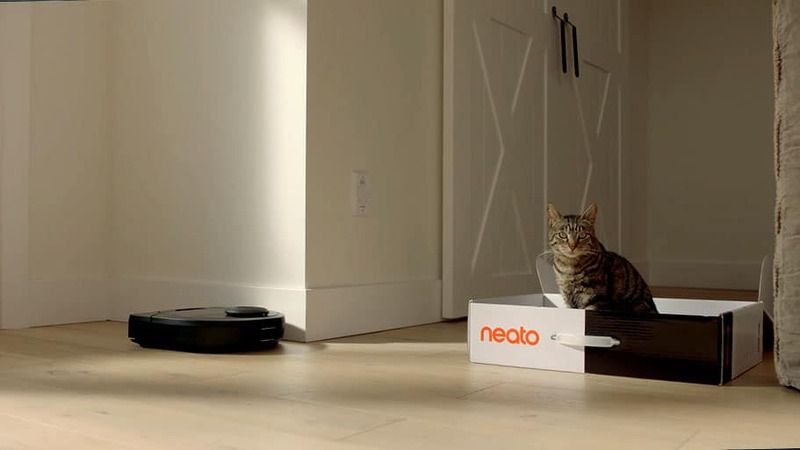 Because of its shape, Neato cleans close to the walls and gets into corners. 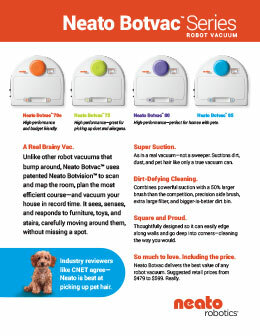 The Neato Botvac series is comprised of four models – The Botvac 70e, Botvac 75, Botvac 80 and Botvac 85, with different brush and filter options. 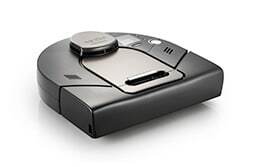 Botvacs will become available in mid April 2014 at major retailers in the United States and Europe, with suggested retail prices ranging from $479 to $599.